One of the most important factors influencing the track maintenance is the transitions between parts of the track with different vertical stiffness. The dynamic forces in the super-structure, i.e. from rail to ballast/slab and subgrade, including every layer under ballast/slab until natural ground, are influenced by the type of materials, layer configuration and geometry. One way to mitigate track transition problems is to have a more gradual transition with a reduced stiffness differential. The aim of this research is to reduce vertical transient stresses and displacements under track supports at track transition areas by combining different structural configurations. For this purpose, the train-track dynamic interaction in the transition zones with different vertical stiffness values is analysed using a finite element software. A high-speed train moving on a slab and ballasted track is considered travelling in both directions. The effect of different structural track designs is studied in realistic operation scenarios. The results allow concluding that the sleeper displacements and ballast stresses can be significantly reduced in the transition zones by making small changes in the track structural elements. J.N. Varandas, P. Hölscher, M.A. Silva, Dynamic behaviour of railway tracks on transitions zones, Computers & structures, 89 (2011) 1468-1479. P. Hölscher, The dynamics of foundations for high speed lines on soft soils, International Journal of Railway Technology, 1 (2012) 147-166. B. Indraratna, S. Nimbalkar, C. Rujikiatkamjorn, Modernisation of rail tracks for higher speeds and greater freight, (2013). E. Fortunato, A. Paixão, R. Calçada, Railway track transition zones: design, construction, monitoring and numerical modelling, International Journal of Railway Technology, 2 (2013) 33-58. S.C. d’Aguiar, E. Arlaud, R. Potvin, E. Laurans, C. Funfschilling, Railway Transitional Zones: A case History from Ballasted to Ballastless Track, International Journal of Railway Technology, 2 (2014). J. Varandas, A. Paixão, E. Fortunato, P. Hölscher, R. Calçada, Numerical modelling of railway bridge approaches: influence of soil non-linearity, The International Journal of Railway Technology, 3 (2014) 73-95. P. Taforel, M. Renouf, F. Dubois, J.C. Voivret, Finite element-discrete element coupling strategies for the modelling of ballast-soil interaction, International Journal of Railway Technology, 4 (2015) 73-95. C. Voivre, V.H. Nhu, R. Peralès, Discrete Element Method Simulation as a Key Tool Towards Performance Design of Ballasted Tracks, International Journal of Railway Technology, 5 (2016) 83-98. Y. Momoya, T. Nakamura, S. Fuchigami, T. Takahashi, Improvement of degraded ballasted track to reduce maintenance work, International Journal of Railway Technology, 5 (2016) 31-54. P.K. Woodward, O. Laghrouche, S.B. Mezher, D.P. Connolly, Application of coupled train-track modelling of critical speeds for high-speed trains using three-dimensional non-linear finite elements, International Journal of Railway Technology, 4 (2015) 1-35. H. Wang, V. Markine, Modelling of the long-term behaviour of transition zones: Prediction of track settlement, Engineering Structures, 156 (2018) 294-304. S.B. Mezher, D.P. Connolly, P.K. Woodward, O. Laghrouche, J. Pombo, P.A. Costa, Railway critical velocity–Analytical prediction and analysis, Transportation Geotechnics, 6 (2016) 84-96. J. Pombo, T. Almeida, H. Magalhães, P. Antunes, J. Ambrósio, Finite Element Methodology for Flexible Track Models in Railway Dynamics Applications, International Journal of Vehicle Structures & Systems, 5, No.2, pp. 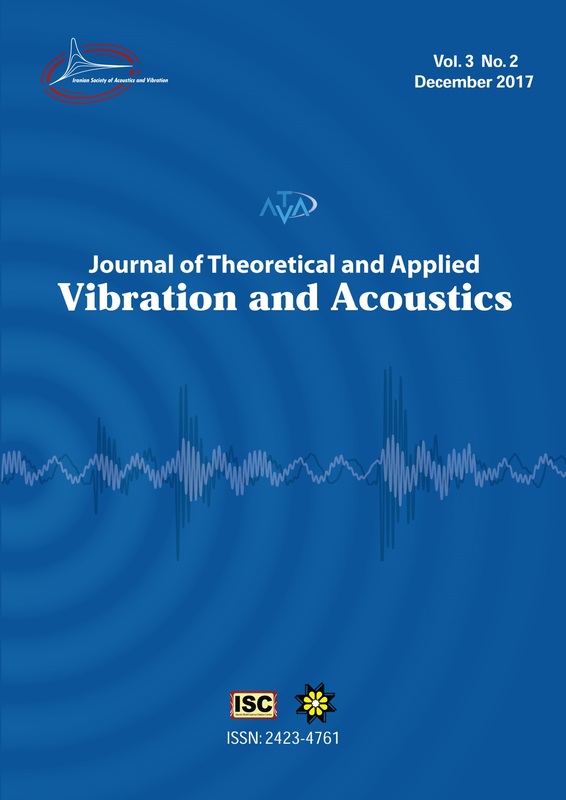 43-52 (DOI: 10.4273/ijvss.5.2.01)..
 N. Kuka, R. Verardi, C. Ariaudo, J. Pombo, Impact of maintenance conditions of vehicle components on the vehicle–track interaction loads, Proceedings of the Institution of Mechanical Engineers, Part C: Journal of Mechanical Engineering Science, (2017) (DOI: 10.1177/0954406217722803)..
 R. Sañudo, L. Dell'Olio, J.A. Casado, I.A. Carrascal, S. Diego, Track transitions in railways: A review, Construction and Building Materials, 112 (2016) 140-157. C.D. Sasaoka, D. Davis, Implementing track transition solutions for heavy axle load service, in: Proceedings, AREMA 2005 Annual Conference, Chicago, IL, Citeseer, 2005. D. Read, D. Li, Design of track transitions, TCRP Research Results Digest, (2006). A. Namura, T. Suzuki, Evaluation of countermeasures against differential settlement at track transitions, Quarterly Report of RTRI, 48 (2007) 176-182. B.E.Z. Coelho, P. Hölscher, F.B.J. Barends, Dynamic behaviour of transition zones in railways, in: Proceedings of the 21st European Young Geotechnical Engineers' Conference, Rotterdam, 2011, pp. 133-139. Y. Du, M. Bai, Y. Chen, D. Yi, Vertical Displacement Distributions of Double-Track High-Speed Railways' Ballastless Track Infrastructure, in: Application of Nanotechnology in Pavements, Geological Disasters, and Foundation Settlement Control Technology, 2014, pp. 117-124. P.A. Lopez, The vertical stiffness of the track and the deterioration of high speed lines[La rigidez vertical de la via y el deterioro de las lineas de alta velocidad], Revista de Obras Publicas, 148 (2001) 7-26. A.L. Pita, P.F. Teixeira, F. Robusté, High speed and track deterioration: the role of vertical stiffness of the track, Proceedings of the Institution of Mechanical Engineers, Part F: Journal of Rail and Rapid Transit, 218 (2004) 31-40. E. Berggren, Railway track stiffness: dynamic measurements and evaluation for efficient maintenance, in, KTH, 2009. R. Sañudo, V. Markine, L. Dell'Olio, Improving Track Transitions of High-Speed Lines. In: Tsompanakis, in: Topping (eds.) Proceedings of the Thirteenth International Conference on Civil, Structural and Environmental Engineering Computing. Creta, Greece, 2011. J.A. Zakeri, V. Ghorbani, Investigation on dynamic behavior of railway track in transition zone, Journal of Mechanical Science and Technology, 25 (2011) 287-292. M. Banimahd, P.K. Woodward, 3-Dimensional finite element modelling of railway transitions, in: In Proceedings of 9 th International Conference on Railway Engineering, 2007. D. Li, J. Hyslip, T. Sussmann, S. Chrismer, Railway geotechnics, CRC Press, 2002. I. Gallego, Heterogeneidad resistente de las vías de Alta Velocidad: Transición terraplén-estructura, (2006). I. Gallego Giner, A. López Pita, Numerical simulation of embankment—structure transition design, Proceedings of the Institution of Mechanical Engineers, Part F: Journal of Rail and Rapid Transit, 223 (2009) 331-343. S. ADIF, Recomendaciones sobre las cuñas de transición. Sistema de Gestion de la Calidad, in, 2008. M. Banimahd, P.K. Woodward, J. Kennedy, G.M. Medero, Behaviour of train–track interaction in stiffness transitions, in: Proceedings of the Institution of Civil Engineers-Transport, Thomas Telford Ltd, 2012, pp. 205-214. A.W.M. Kok, Moving loads and vehicles on a rail track structure: RAIL User’s Manual, in, Report, 1998. V.L. Markine, J.M. Zwarthoed, C. Esveld, Use of numerical optimisation in railway slab track design, in: OM Querin (Ed. ): Engineering Design Optimization Product and Process Improvement. Proceedings of the 3rd ASMO UK/ISSMO conference, Harrogate, North Yorkshire, UK, 9th–10th July 2001, 2001. A. Man, survey of dynamic railway track properties and their quality (Doctoral dissertation), in: PhD. Thesis, , U Delft, DUP–Science, Delft, The Netherlands, 2002. C. Esveld, V.L. Markine, Assessment of high-speed slab track design, European Railway Review, 12 (2006) 55-62. J.J. Kalker, Wheel–rail rolling contact theory, in: Mechanics and Fatigue in Wheel/Rail Contact, Elsevier, 1991, pp. 243-261. A.D. Kerr, L.A. Bathurst, A Method for Upgrading the Performance at Track Transitions for High-Speed Service, in, 2003. R. Sañudo, V. Markine, L. Dell'olio, The Effect of Increasing Train Speed on Track Transition Performance, in: J. In. Pombo, ed. (Ed.) Third International Conference on Railway Technology: Research, Development and Maintenance., Sardinia, Italy., 2016. J. Choi, Influence of track support stiffness of ballasted track on dynamic wheel-rail forces, Journal of transportation engineering, 139 (2013) 709-718. U.-E.S. . UNE_EN_13848-5 Geometric quality levels., in, 2011. C. Esveld, Modern railway track, (2001). B. Lichtberger, (2011). Manual de vía. Eurailpress, DVV Media Group.